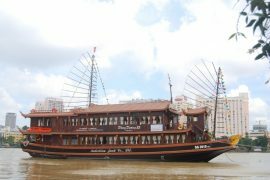 This is a special HoChiMinh City tour Hop On-Hop Off Vietnam combine enjoy cuisine dinner optional buffet or set menu 5 courses in Cruise ship on Saigon river. 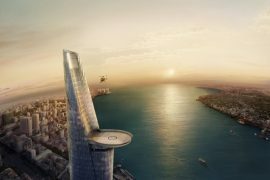 In the morning you will be excursion city by Hop On- Hop Off Bus through 10 stops with over 20 destinations. 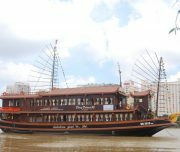 You enjoy sightseeing hop on and drop off any bus stop with 24 hours tickets full day and having special dinner on Saigon River cruise ship. 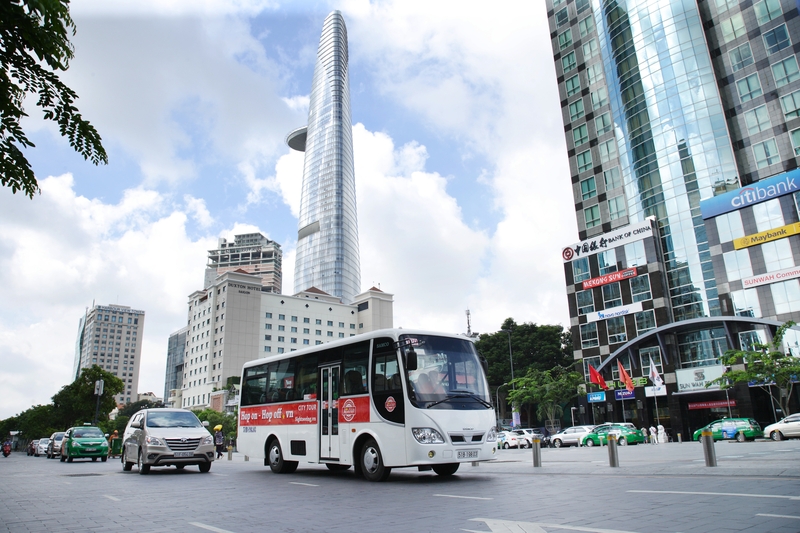 Hop On-Hop Off e-ticket valid for 24 hours, 08 languages GPS Audio Guide, City Map. 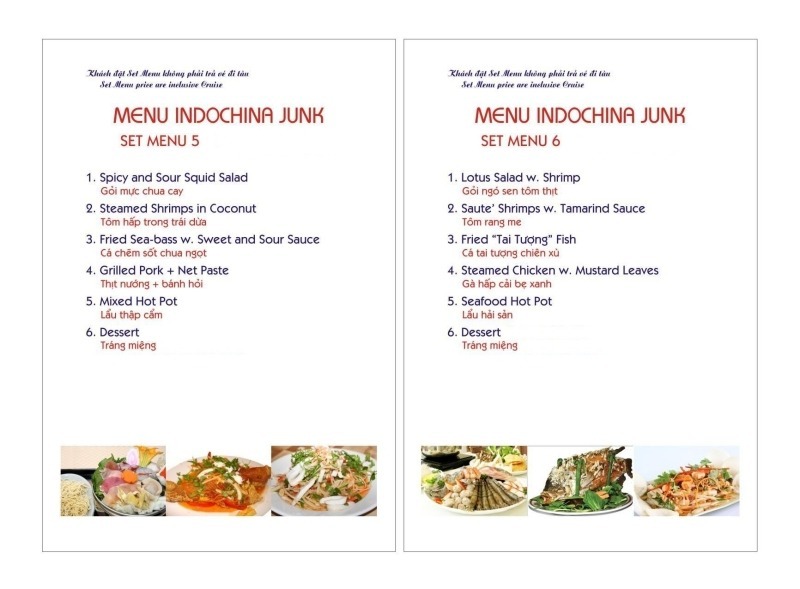 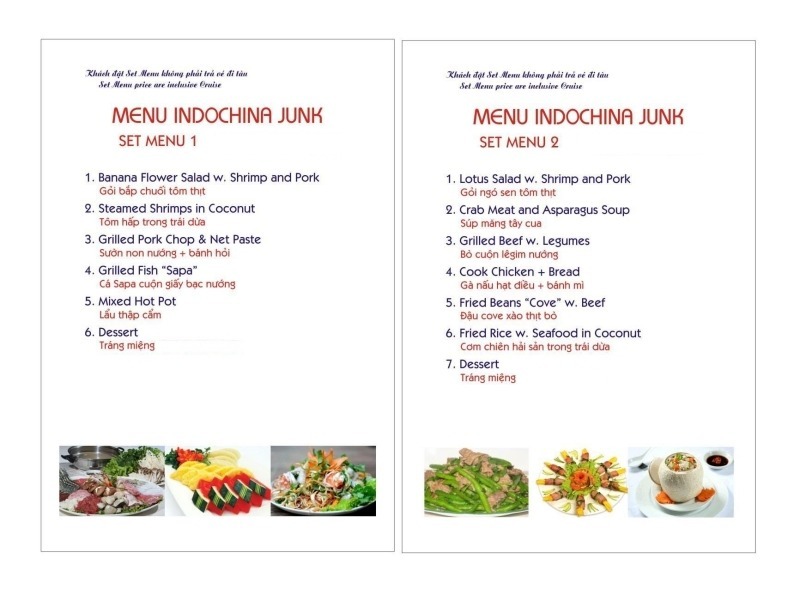 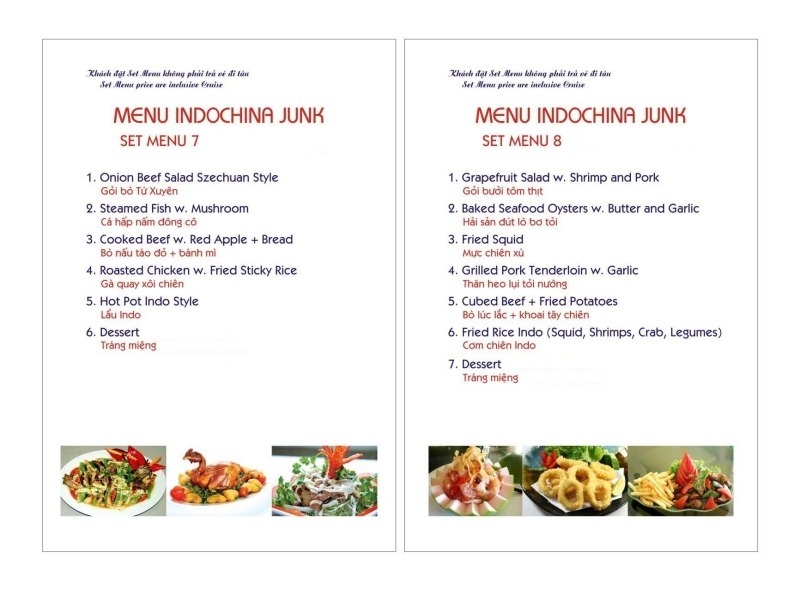 Dinner on Cruise Ship: Set menu 5-7 courses traditional Vietnamese cuisine in Indochia Junk. 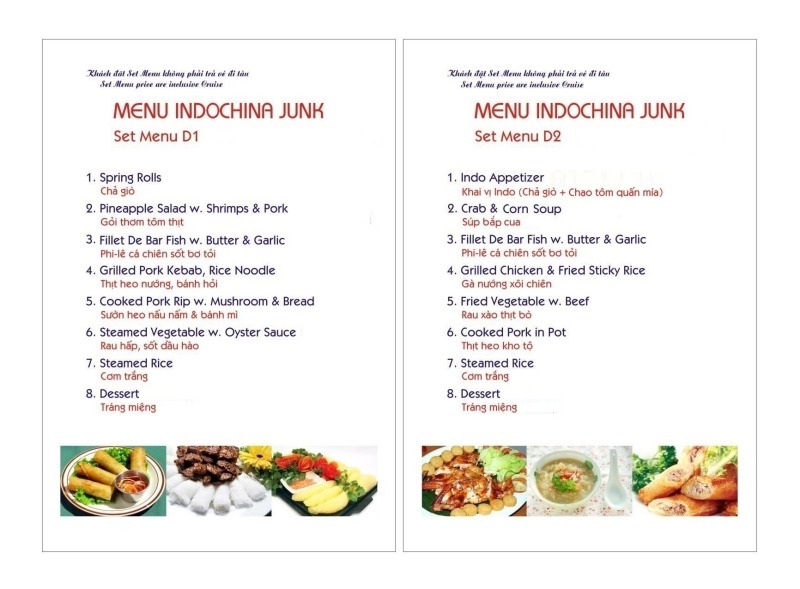 See tab: SET MENU. 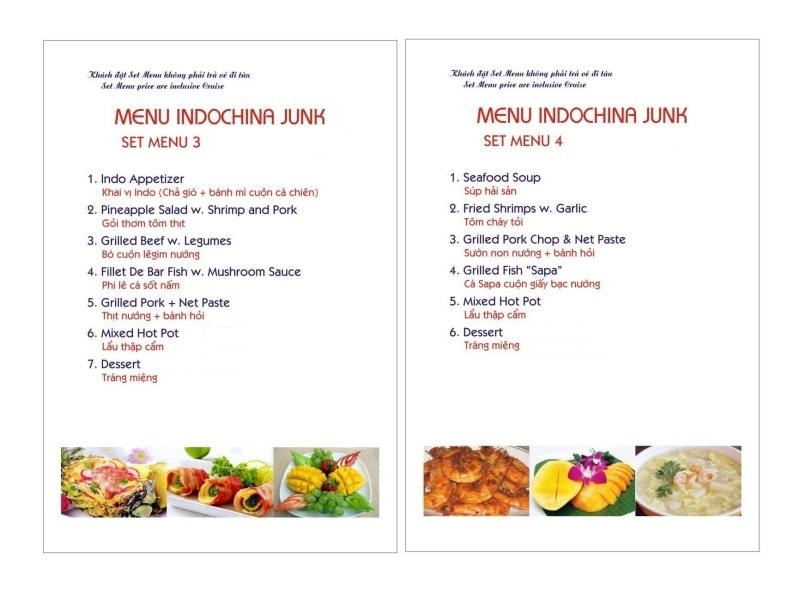 Only select 1 of all Set Menu. 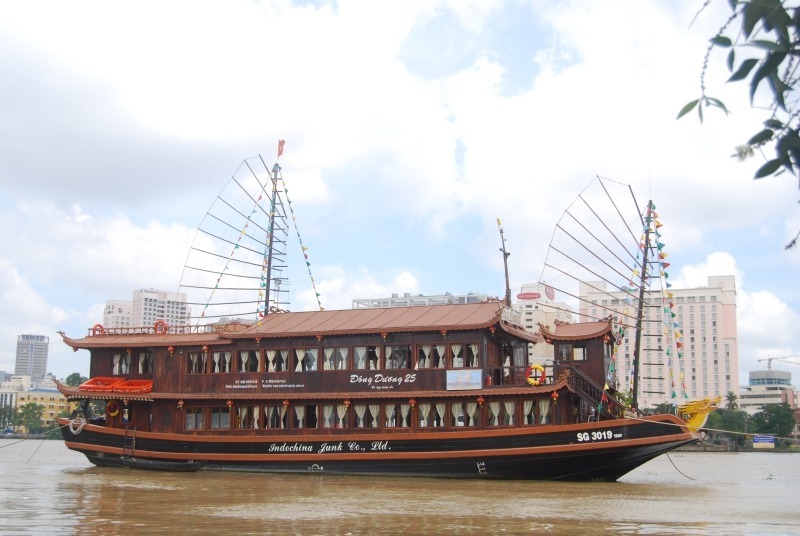 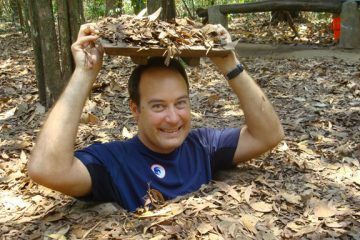 – 8:30AM – 17h30: Sightseeing HoChiMinh City by Hop On Hop Off VietNam. 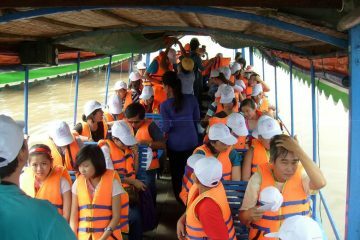 Each 30 minutes one tour departures. 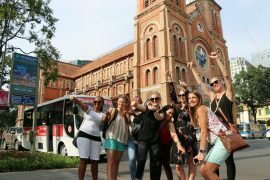 Hop On- Hop Off Bus: Starting bus stop at 23/9 Park or No.187 Pham Ngu Lao st. (“Backpackers zone”), with 10 stops around city. 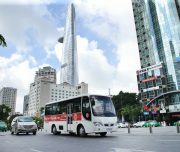 We bring you to Ben Thanh market (national bus stop No.120 on 129-133 Ham Nghi st.), observe the City’s panorama from the Skydeck at Bitexco Financial Tower -> Bach Dang . 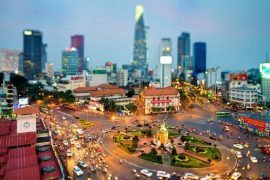 To Saigon river -> City Hall, Opera House -> Nguyen Hue Perdestrian -> Indepentdence Palace (Reunification Palace) -> Notre Dame Cathedral – Saigon Central Post Office -> the Zoo, the History Museum -> the War Remnants Museum. You can explore the city’s “foreigner areas”, such as Dong Khoi, Nguyen Hue and the shop at Ben Thanh Market. 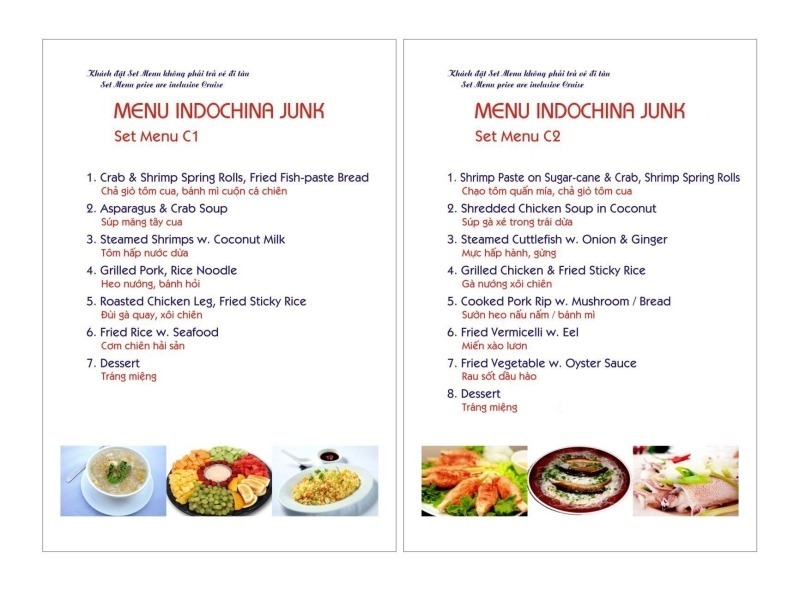 INDOCHINA JUNK: Please go by yourself to our meeting point at 23rd September Park – Bus stop No.187 Pham Ngu Lao st , and please present at 15 – 20 minutes before departure time.